If you recall I did a post about our closet organization experience with The Neat Method. Well that really inspired me to try to do our pantry on my own! Our pantry is incredibly small but has a ton of shelves and space for all we need. Sure I would love to have a walk in pantry but honestly I think I would make a bigger mess. I know that organizing a pantry or any space can feel daunting, but I did all of this over a few hours (mostly during Liam’s nap one day). 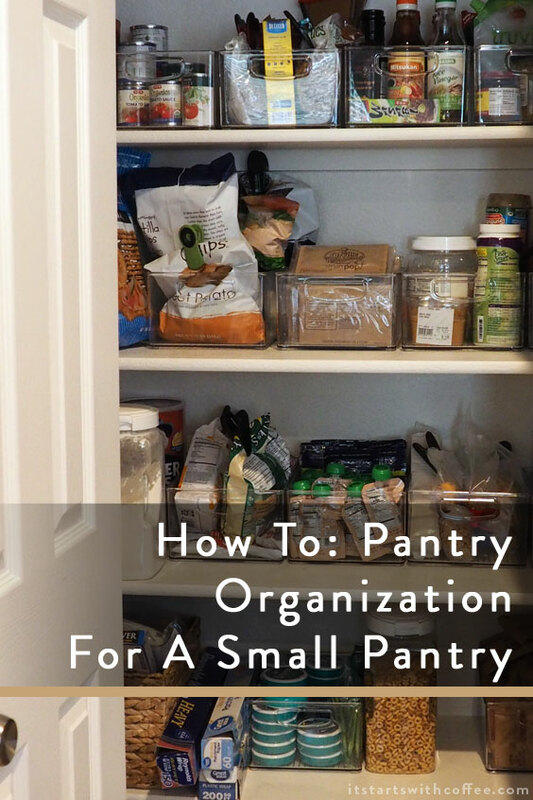 Pantry organization for a small pantry is absolutely key to it being functional. First I took every single thing out of the pantry and put it on our island. I threw out anything expired, that looked gross, or that we did not use. Then I organized everything into categories and section (Liam’s snacks, our snacks, baking, oils, breakfast, etc). I used these clear bins and put things in them according to category. I also took things like crackers out of their boxes that take up a ton of space and put a clip on them to keep them fresh. On the very top shelf I put the items we don’t use as often (mixes, oils, specialty items). Then on the next shelf are items we use a ton for weekly meals (rice, ketchup, BBQ sauce, tomato sauces, etc). The next shelf has mostly snacks for us, things I use for Liam’s lunch, nut butters. Then there is a shelf with Liam’s snacks and other things we use pretty often, protein bars. 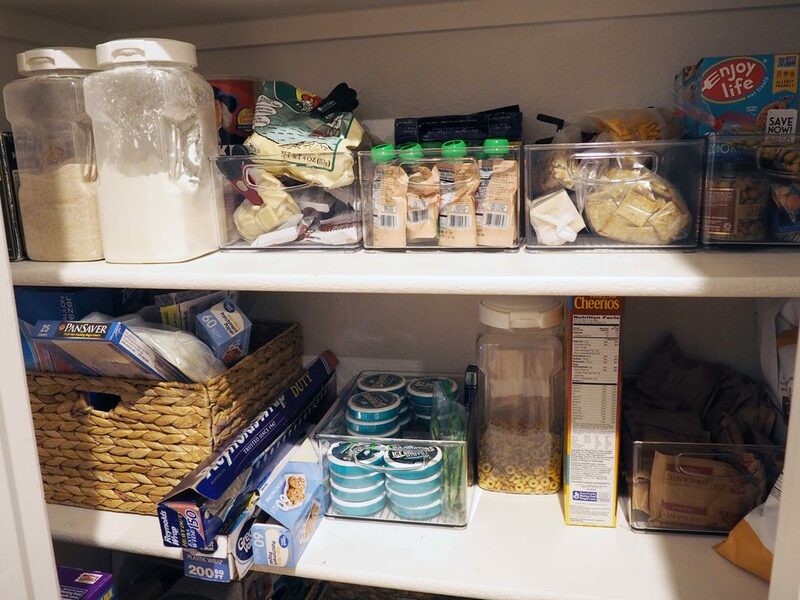 On the bottom shelf are things like foil, parchment paper, plastic wrap, cereal, oatmeal, flour, etc. On the very bottom on the floor I use these baskets for paper plates and napkins (on basket) lunch boxes/small travel coolers in one basket, bags we keep to reuse and extra food items like apple sauce, cereal, and soda for Andrew. I really only use two NEW things but I did have some of this already. These baskets. I used 6 of them. I really can’t thank Valerie with the Neat Method enough for inspiring me to do this. I really need to convince Andrew to let her come do our playroom and kitchen! They both need major help! With NYC living, I need this!!! I love this! January is the best time to get organized. Our old house had a fantastic pantry. Our new one only has cabinets. I miss having a pantry and thinking of tearing something out to make one! I use the same method when I organize our pantry. Everything comes out, into categories, then back in. I really wish I had a walk-in pantry for all my kitchen stuff, but my shelf one works for now and is arranged similarly to yours! I’m moving into my new place very soon. I’ll definitely pin this for when I need to put things in. My kids just throw things in the pantry and I’m like WHAT ARE YOU DOING ? Lol oh kids! I am also trying to make a closet into a pantry closet in my kitchen. I have so many seasonings. These are great tips. I really need to work on organizing my pantry! It is SUCH a mess especially with the kids going in and out. I hate the state of my pantry right now. You’ve inspired me to pull everything out and organize it. I love using baskets to help organize! It makes such a massive difference. Your after looks fantastic! 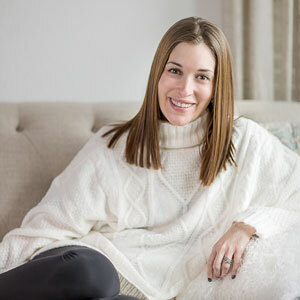 Fingers crossed you can get her to do the playroom too! I might just have to borrow this idea! My pantry WAS organized but now it’s kind of a mess. Thanks for sharing these tips. I need to do this with my pantry and now is the perfect time since I won’t be spending time outside anytime soon. It looks so good! You should use the same method for your fridge. I did it and it helped so much to be able to see everything in the fridge. 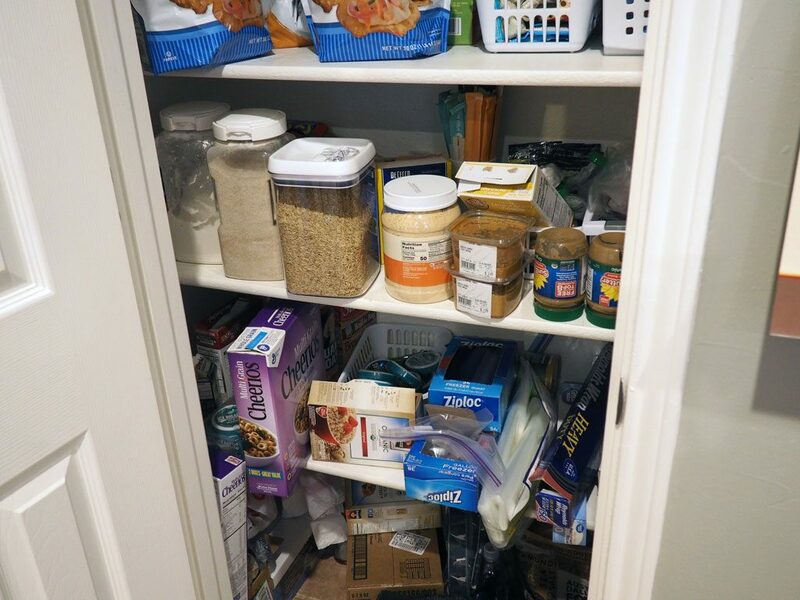 The clear bins are a great idea for a pantry so that you can see what’s inside. I need to go through my pantry and throw out some items I don’t use! These are all great tips. I really like using storage boxes because they do help a lot. I need to pick up a few more to organize my kitchen. Very neat and organized! 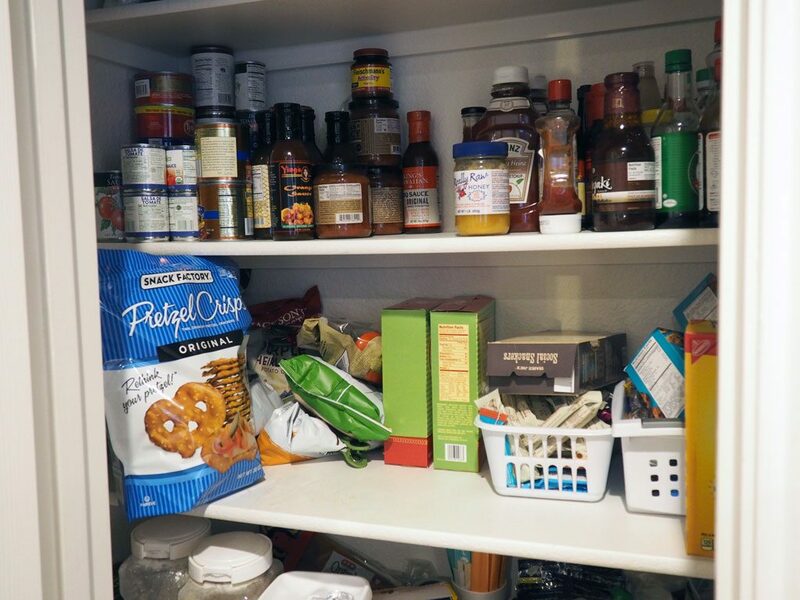 We just have a “pantry cupboard” (floor-ceiling and very deep/narrow) that I’d installed slide-out shelves in 5/7 of years ago – those last two shelves were just horrid, though! 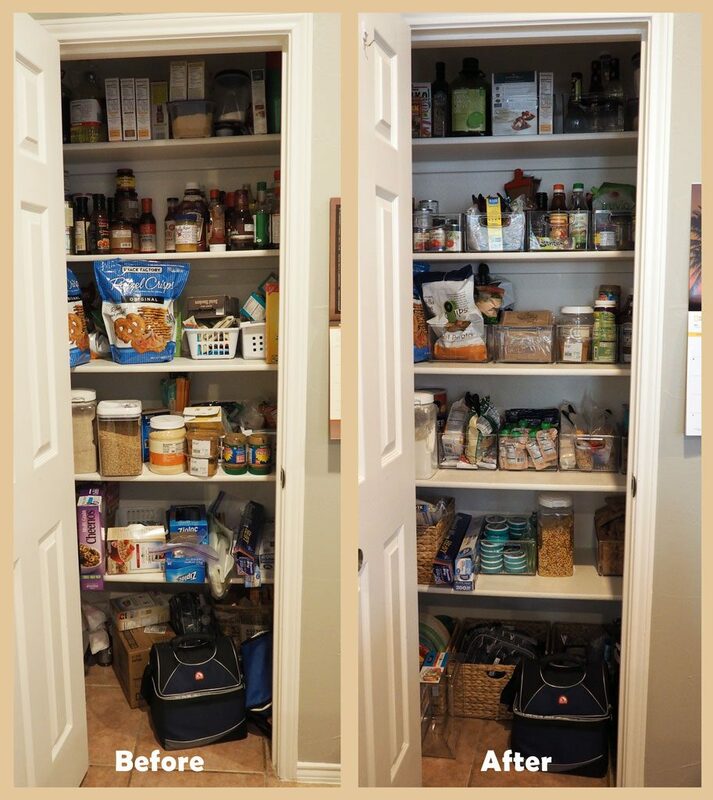 So when our kitchen and basement flooded last spring, the pantry cupboard was gone for months being repaired – in its absence, I ordered roll-out shelves for the last two slots. AND (having had to take everything out and box it up during the interim) put things back VERY intentionally. Now each shelf has a purpose, and is organized according to that purpose (snack items, extras of things like nuts/dried fruits that we use a lot in cooking, extras of spices, etc. on down to beverages [bottled water, coffee filters, bottled juices]. It is SO easy to use – I never realized that not having those last two shelves as roll-out was really hurting us, but now we are finally beyond things getting lost in the back!!! Thank you for this! So often I see posts where the pantry is huge. If my pantry was huge, I wouldn’t have an issue. Lol. This is realistic and incredibly helpful. That is so beautiful. I love how you perfectly organized your pantry. It def looks neater now. I try to keep my pantry as organized as possible too. Thanks for your tips. I will try to make use of them. 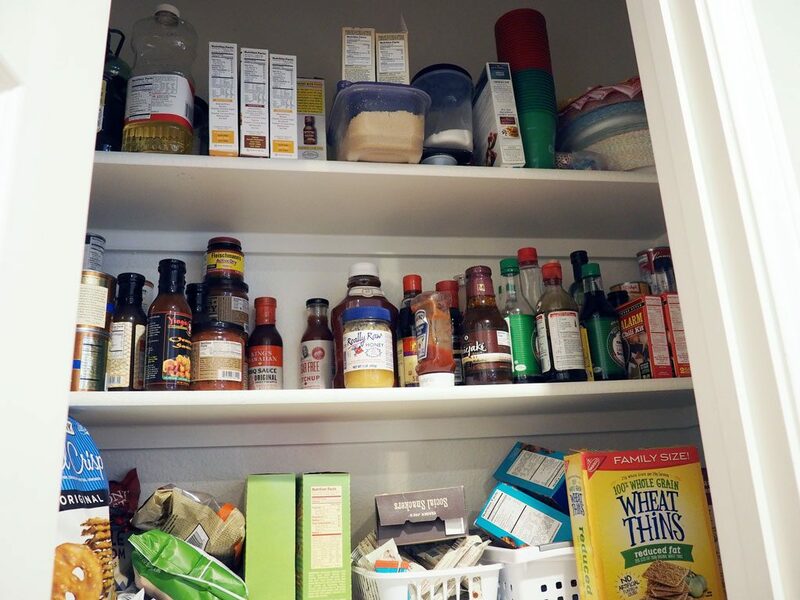 Maybe there is still some improvement I can do to make my pantry more organized and functional. My pantry definitely needs some help! Mine is so very messy and unorganized. This is some really great advice on how to get it back in order. That is awesome! 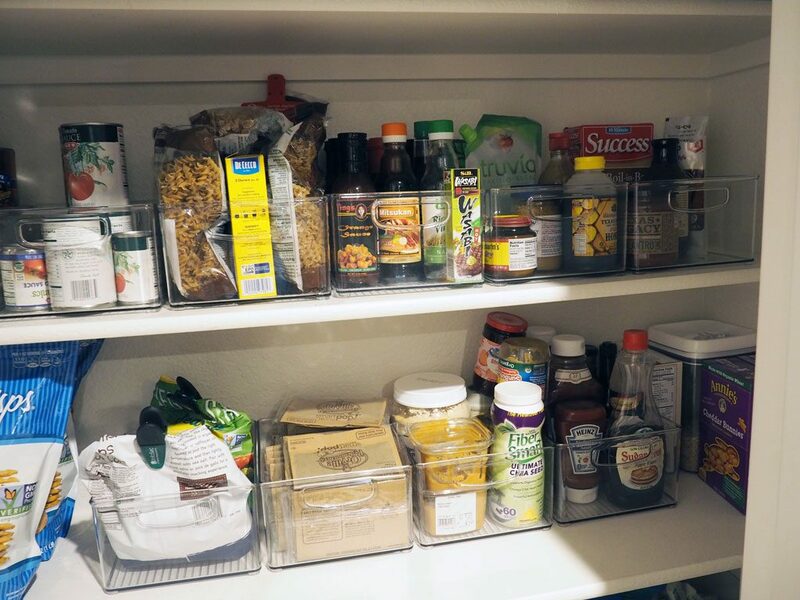 My pantry is an inbuilt drawer thing, so I don’t really need boxes, but I love your tips!